MOSCOW, May 6. /TASS/. Russia is satisfied with conclusions included in the OPCW mission’s report that sulphur mustard gas was used in the Syrian village of Maarat Umm-Hawsh in the Aleppo region, Russia’s Foreign Ministry said on Saturday. "The conclusions we had made along with our Syrian counterparts that terrorists used sulphur mustard in the populated locality of Maarat Umm-Hawsh have been fully confirmed at the Organization for the Prohibition of Chemical Weapons (OPCW). We state this with satisfaction," the ministry said. Russia has provided assistance to Syria in the investigation by sending samples, documentary and material evidence collected at the scene to authorized experts, the Russian foreign ministry said. The evidence the OPCW mission has about the use of chemical weapons in Syria will be handed to the UN-OPCW Joint Investigative Mechanism (JIM) for further studying. The Russian Foreign Ministry has urged to identify those guilty in the incident and those who coordinated the attack. The Human Rights Watch’s report that a Soviet bomb was used in an alleged chemical attack on the Syrian town of Khan-Shaykhun does not stand up to criticism, Russia’s Foreign Ministry said on Saturday. "So-called investigations into the Khan-Shaykhun (attack) and the above-mentioned Human Rights Watch do not stand up to any criticism. All relevant conclusions are mostly made on witnesses’ testimonies, with practically all of them given online. What is more, the witnesses are exclusively members of Syrian opposition." 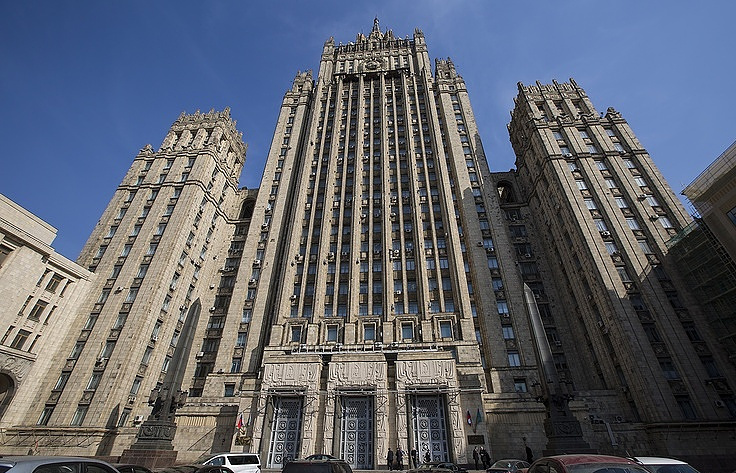 Russia’s Foreign Ministry has pointed out that neither the Soviet Union nor Russia, as its successor, has ever dispatched abroad the shells used for delivery of toxic substances. "We insist that experts of the OPCW-UN Joint Mission (on the elimination of Syrian chemical weapons) should be immediately dispatched to Khan-Shaykhun and Shayrat air base, where bombs with sarin nerve agent were allegedly stored, to carry out a professional and impartial investigation at the scene," the statement says. "The goal could be reached given all the procedures stipulated in the Chemical Weapons Convention are observed." On April 4, the town of Khan-Shaykhun in Syria’s Idlib region was hit by an alleged chemical attack. The Russian Defense Ministry said the Syrian aircraft had bombed the workshops then where terrorists were producing munitions with chemical agents supplied to Iraq and used in Aleppo. Washington accused the Syrian government of the attack. US President Donald Trump ordered a missile strike on an air base in the Syrian Homs Governorate and the US military fired 59 Tomahawk cruise missiles on it from warships in the Mediterranean in early hours of April 7.